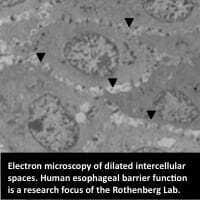 The Rothenberg Laboratory, supported by the Campaign Urging Research for Eosinophilic Diseases (CURED), is focused on elucidating the mechanisms of allergic responses, especially in mucosal tissues such as the gastrointestinal tract and lung. The goal of our research is to identify mechanisms of allergic inflammation with the aim of developing and testing novel diagnostics and pharmaceutical targets for the treatment and cure of patients with a variety of allergic diseases, especially eosinophilic gastrointestinal disorders (EGID) [e.g. eosinophilic esophagitis (EE or EoE)], hypereosinophilic syndrome (HES), asthma and food allergies. Read about our current projects. We have identified and biologically characterized several critical pathways that regulate allergic responses. Our research integrates multidisciplinary basic studies, with particular emphasis on modern genetic approaches, translational research employing novel in vivo and ex vivo systems developed by our laboratory, and clinical studies designed to test proof-of-concept theories and novel therapeutics directly in humans. Learn more about our diagnostics. Dr. Rothenberg leads within and outside of Cincinnati Children’s. He has greatly furthered the field of allergy and immunology, as evidenced by his extensive publications (over 400) and receipt of an NIH MERIT Award in recognition and support of his research. Rothenberg is the principal investigator of the Consortium of Eosinophilic Gastrointestinal Disease Researchers (CEGIR) and is the director of Cincinnati Children’s Division of Allergy and Immunology and the Cincinnati Center for Eosinophilic Disorders (CCED). Learn more about CCED. There are several educational opportunities with the Rothenberg Laboratory, including graduate, postdoctoral and clinical fellowships as well as summer research experiences. The Rothenberg Laboratory, supported by the Campaign Urging Research for Eosinophilic Diseases (CURED), has a high-energy, dynamic and interactive environment and is interested in recruiting self-motivated individuals with the drive to succeed and the desire to be competitive at the international level. Join the Lab. Eosinophils have been considered end-stage cells involved in host protection against parasites. However, numerous lines of evidence have now changed this perspective by showing that eosinophils are pleiotropic multifunctional leukocytes involved in initiation and propagation of diverse inflammatory responses, as well as modulators of innate and adaptive immunity. For example, the Rothenberg laboratory has found that intestinal eosinophils regulate the production of secretory immunoglobulin A (IgA) and regulate intestinal commensal flora. We are examining new views on the role of eosinophils in homeostatic function, including developmental biology and innate and adaptive immunity (as well as interaction with mast cells, B cells and T cells). We are studying the molecular steps involved in eosinophil development and trafficking, with special attention to the important role of eosinophil-selective cytokines such as interleukin 5 (IL-5), the eotaxin subfamily of chemokines, IL-13 and epithelial gene products. We are investigating the role of eosinophils in disease processes including infections, asthma and gastrointestinal disorders. We are studying the consequences of genetically engineered eosinophil-deficient mice. Genetic approaches to understanding eosinophil-associated human diseases are a focus area. Why patients develop eosinophilic disorders, focused on genetic and environmental factors and their interactions, are priority research topics. Finally, we are pursuing strategies for diagnostics and patient-reported outcomes (e.g., PEESS v2.0) and targeted therapeutic intervention in eosinophil-mediated diseases. Research effort by Cincinnati Children’s investigators helps enable first new class of Asthma drugs in over a decade. 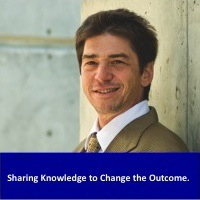 Rothenberg is the author of more than 400 papers in basic science and clinical literature. 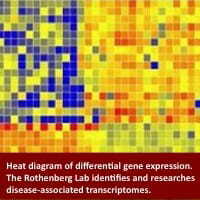 View the publications from the Rothenberg Lab. We are grateful for the generous support of several foundations and agencies, such as the Campaign Urging Research for Eosinophilic Diseases (CURED). View the funding support for our lab. 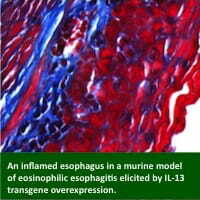 The Consortium of Eosinophilic Gastrointestinal Disease Researchers (CEGIR) is dedicated to improving the lives of individuals with eosinophilic gastrointestinal disorders through innovative research, clinical expertise and education via collaborations between scientists, health care providers, patients, and professional organizations. CEGIR is part of the Rare Diseases Clinical Research Network (RDCRN) and has a contact registry. Consider joining today. Visit the CEGIR website.